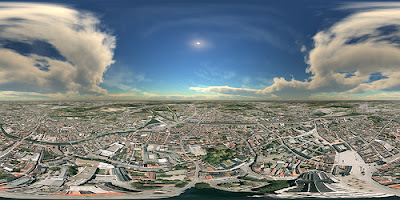 Anendel has created two well crafted panoramas from Google Earth and shared them via his Flickr account, pictured above is Mechelen – A Dutch-speaking city and municipality in the province of Antwerp, Flanders, Belgium. 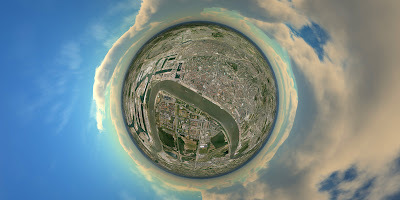 Both the panoramas can be viewed on Anendels Flickr page in both high resolution and interactive via the SPIV panorama viewer. View Mechelen & Antwerp via Flickr. 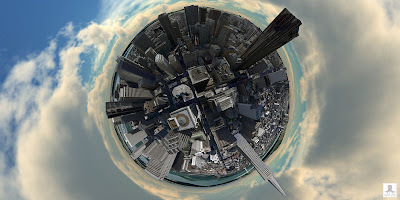 Create high resolution panoramas from Google Earth & Create high resolution panoramas from Virtual Earth.